I love the clean and fresh appearance of this card! 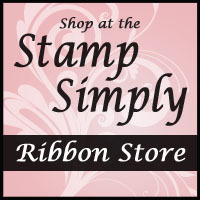 It’s a simple make and perfect for either gender and any age. 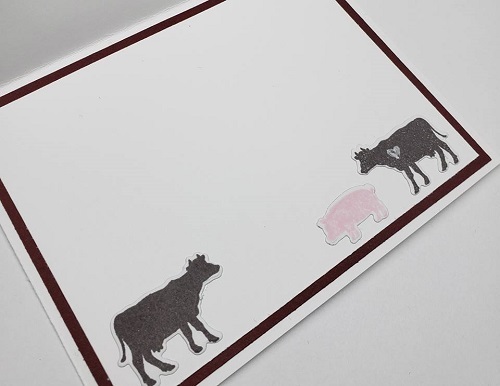 Holly added a few more farm animals on the card inside. It’s always good to have cards on hand, especially generic cards that will work for just about anyone, anytime! 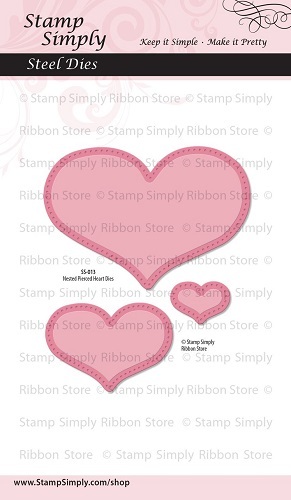 Stencil: Tim Holtz Layering Stencil (plaid used is not in stock) – ALL ON SALE! These are the 4 sentiment sets in our Farmhouse Signage Series. 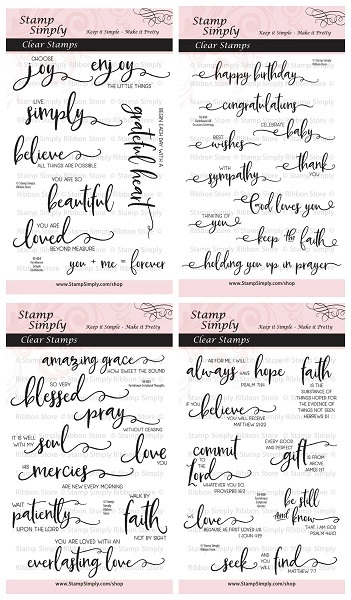 Holly used Farmhouse Simple Sentiments today (upper left). 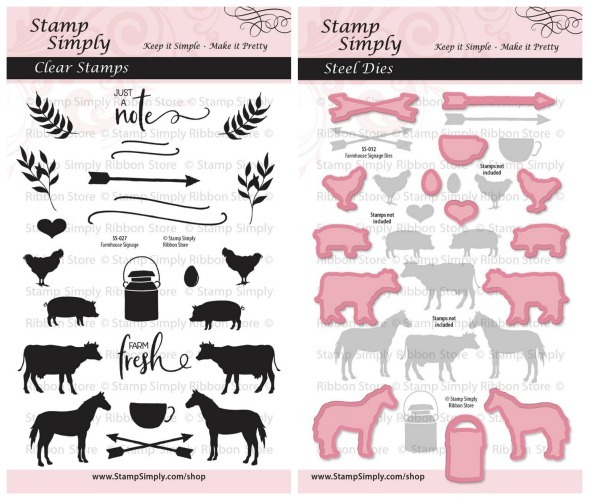 Oh, the options with all these fun farm animals, sentiments and accent stamps! ALL eight sets in our Farmhouse Series are available for purchase individually or in a variety of bundled groupings.